The general feeling about Canada’s federal election is that of events spinning out of control, and a deep sense of foreboding; a perception that the “old” Canada that most Canadians saw as a basically moderate and easy-going place, is coming apart. Much of this comes from 10 terrible years of Prime Minister Stephen Harper’s reign and also from the brutal pressures of globalized capitalism. The campaign that elected Justin Trudeau as the new Prime Minister has been the longest in Canadian history, 79 days, while the customary time limit has been 35 days; and those days have been filled with scandals and general stupidity. It was impossible to predict the outcome of this very close race. In Canada’s system of voting, with three and sometimes four parties competing in each riding, less than 50 votes can determine a local outcome, and a Prime Minister can be voted in by a significant minority of the popular vote. Still, two-thirds of Canadians wanted Harper out. Many had hoped that Tom Mulcair and the New Democratic Party (NDP) would form the next government—they have been the official opposition since 2011. He made the same fatal error that many on the left make; he moved from left to center, thinking it would make him more electable. 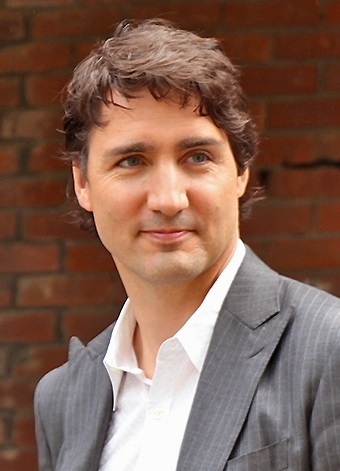 His main base of support was among Québec voters, who hoped that Québec would be a factor for change in Canada. That support melted away when Mulcair abandoned his principles. The Green Party has been insignificant, as its leaders avoid issues of labor and social inequality. The Bloc Québécois (BQ) has belatedly grasped that having a strong presence at the federal level could bring them the leverage to improve conditions, and that the question of Québec sovereignty, a factor in Canadian politics, is not so much about abstract culture, but about attitude to life. Stephen Harper has been characterized as both Canada’s Richard Nixon and its George W. Bush. His 10 years in office have been a stream of retrogression and misdeeds. The tar sands project in Alberta is his baby, as are the XL Pipeline, the “bomb trains” and other petroleum projects, especially in Alberta. This resulted in revolt there and regional antagonism across Canada. He opened up Canada to looting of its resources and land by big business and played repressive games with immigration and identity politics. He strengthened the monarchy, which interfered in Canada to keep him in power. His “anti-terrorism” laws are worse than the ones in the U.S. He cut funds for environmental research and in his Nixonian secretiveness imposed gag orders throughout the government. He even withdrew Canada from the Kyoto Protocol in 2011. He opposed marriage equality, cut healthcare funding and social programs, and involved Canada in foreign wars. Newly elected Justin Trudeau may not be much better. He is seen as inexperienced and an intellectual lightweight. His Liberal Party, in power in Québec and Ontario, is giving away those provinces’ resources to big business. Though he campaigned on a promise to increase government spending, in the last few days a scandal revealed that those monies are for infrastructure for oil companies. The co-chair of his campaign, Dan Gagnier, was exposed as a lobbyist working behind the scenes for mining and oil companies. Also, Trudeau, like Harper, plays divisive games with identity politics. Now that Trudeau has been elected Prime Minister, with a majority government, we know the crises will continue and people will not take to this passively. At least Harper is gone. Canadians want deep change, and the striving for a new Canada and Québec will take new forms. Today is a day for opposition to the present society and for new beginnings. This entry was posted in Articles and tagged Canada, Conservative Party of Canada, Dan Gagnier, Green Party, Justin Trudeau, Keystone XL pipeline, Kyoto Protocol, Liberal Party of Canada, NDP, New Democratic Party, Ontario, Quebec, Stephen Harper, tar sands project of Alberta, Tom Mulcair. Bookmark the permalink.